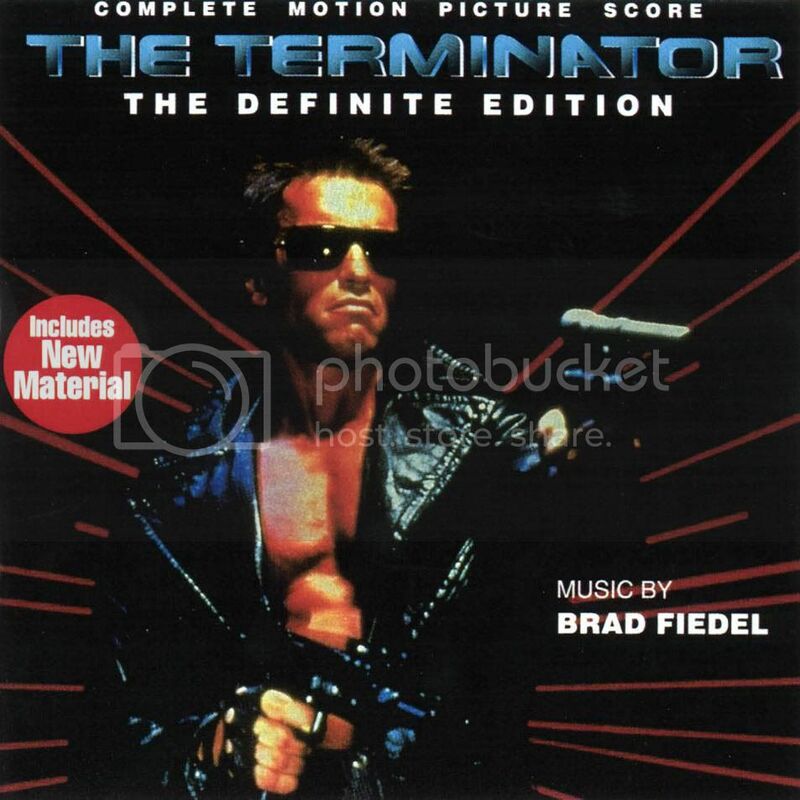 The James Cameron movie soundtrack produced by Brad Fiedel. For some weird reason this is called 'The Definite Edition' shouldn't that be 'Definitive Edition'? Yes, I admit I picked this up in a market in Kuala Lumpur which might go someway in explaining things. But that aside, who doesn't remember the first time they saw the original Terminator movie? Actually it really is called the Definite Edition. Blame the record label. Anyone remember when sarah walks in the disco (around the 28 minute marker) to make a phone call, there is a song playing. It seems its not on the OST but im wondering which song it is. Does anyone know? You've Really Got Me Burning I think it's called. It's on the standard edition of the soundtrack but not the 'Definite' version. If anyone has it can they send me a link please?